Zeiss employees started a collection of optical instruments approximately 1900. 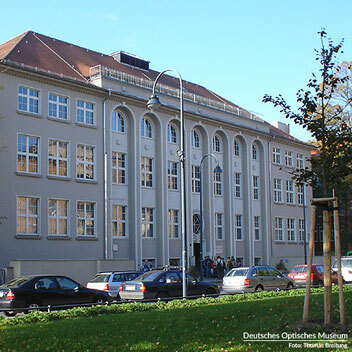 In 1922, the Optical Museum in Jena was established by the Carl-Zeiss-Foundation. After many turbulent years in German history, the museum was transferred to the Ernst-Abbe-Foundation in 1992. Over the decades, the museum has assembled a world-famous collection of cultural and scientific significance that show the history and relevance of optics. To commemorate the founding fathers of the modern optics industry in Germany and in honor of the 200th birthday of Carl Zeiss on 11 September 2016, the city of Jena, the Carl-Zeiss-Foundation, the Ernst-Abbe-Foundation, Carl Zeiss AG and Friedrich-Schiller-University in Jena joined forces to establish the Deutsches Optisches Museum Foundation on 9 September, 2016. 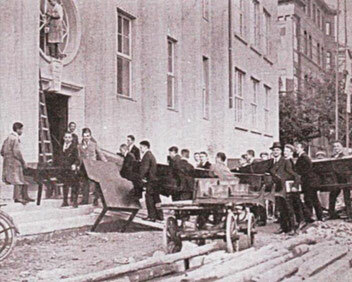 Employees from the company Carl Zeiss in Jena started collecting optical instruments around 1900. Initially, scientists from the Zeiss Factory played a key role in expanding the collection. These included Prof. Hermann Ambronn, Dr. Henry Siedentopf, Dr. Hans Boegehold and Dr. Moritz von Rohr. Over time, the company assembled a remarkable assortment of microscopes, telescopes and eyeglasses. In 1922, the Optical Museum in Jena was established by the Carl-Zeiss-Foundation. In October 1924, the Optical Museum moved to the newly constructed building at Carl-Zeiss-Platz 12. 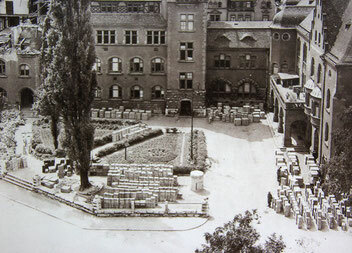 The museum's collection was moved to Jena's outer environs in 1941/42 to protect it during the Second World War. However, the poor storage conditions severely damaged the objects. After bringing the collection back to Jena at the end of the war, it was discovered that several crates had been opened during storage and various items were missing. Years of intense restorative work proved necessary. The museum was slated to be demolished by the Soviet occupation army – a fate that had befallen the Zeiss Factory in 1946. However, the museum's director successfully intervened and saved the institution. In August 1965, the first permanent exhibit opened to the public at the Griesbachhaus. As space was limited, the collection was moved to Carl-Zeiss-Platz 12 in 1976/77, and the exhibits reopened with a new name: "Tradition and Progress in the Manufacture of Optical Precision Instruments." Thanks to special exhibits held abroad in Florence, Paris, London, Edinburgh and Liverpool during the 1980s, the museum started to enjoy an international reputation. In honor of the 100th anniversary of Carl Zeiss' passing, the "Historic Zeiss Workshop" opened as part of the Optical Museum in December 1988. 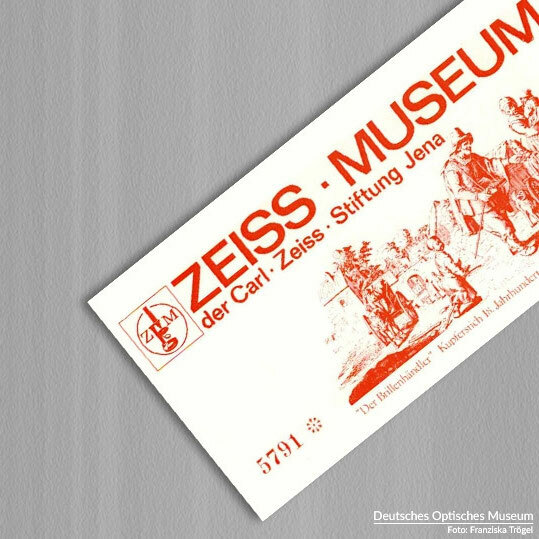 With the dedication of the workshop, the Optical Museum was renamed the Zeiss Museum. The new name was in effect until 1991. Since 1992, the Optical Museum has been under the auspices of the Ernst-Abbe- Foundation. In 1993, the exhibits were redesigned and given a modern look. In short succession, the "Visual Aids" exhibit was reopened along with the areas dedicated to ophthalmic instruments and the biography exhibitions of Ernst Abbe and Otto Schott. The permanent exhibits were completed in 1996 with the opening of "History of Microscopy and Telescopes," "Photography" and "World of Images." 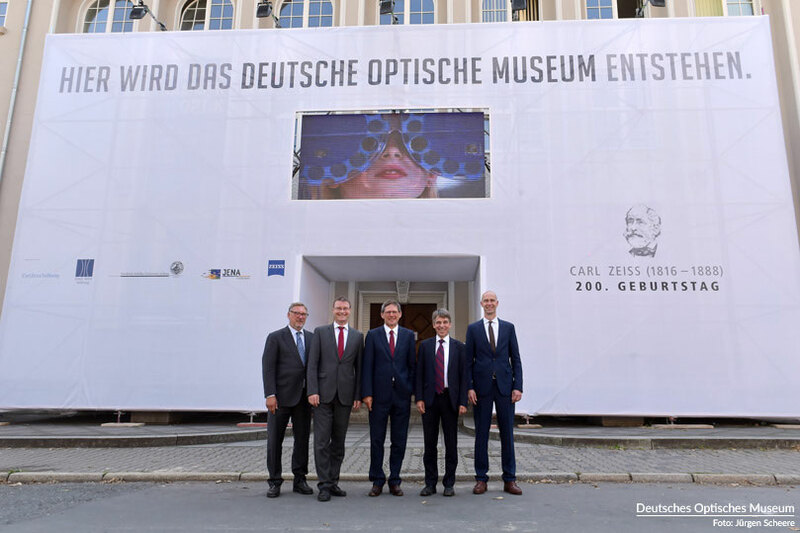 A revamped Optical Museum is Jena, a pilgrimage site for optics aficionados: the initiators brought this vision to life during the celebrations for the 200th birthday of Carl Zeiss by laying the foundation for the Deutsches Optisches Museum. In addition to presenting the history of optics and the production of scientific instruments, the museum is also intended as a public space and offers many educational programs, in particular for young people. Scientists from across the globe will also be able to do research here, ensuring the museum continues to enjoy an international reputation. The first formal step was the transfer of the institution to the Deutsches Optisches Museum Foundation on 1 July 2018.